Coming to a Ceremony near you! Home Wedding Photography Coming to a Ceremony near you! Many times, being Vancouver Engagement and Wedding Photographers, we often get asked if there are any creative ways to display Engagement photos. In all of British Columbia, Vancouver is incredibly famous for its variety of different scenery and architecture, which is perfect for Wedding Photography! And since Vancouver is such a trendy place to film many different productions, many couples gather all over the world to hold their Wedding ceremonies/receptions here to recreate their dream day. So what other way to capture and share the loving dynamic between a couple other than through Photography? This sample Wedding announcement (or invite if you’d like) is a perfect method to send out to friends and family. We are quite visual for we are humans after all. 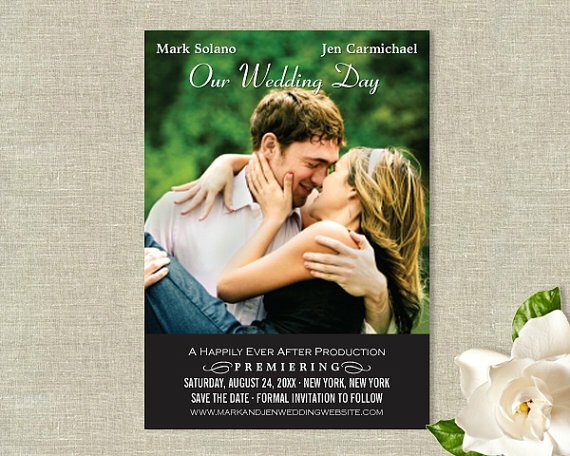 The sight of the soon-to-wed couple being in their own moment of joy speaks much clearer rather than reading the words, “Very Happily In Love,” on an invitation card, don’t you think? Leave a comment! We’d love to hear other fun ways to use your Engagement Photos!